Daveed R. Lift joined Gray, Rust, St. Amand, Moffett & Brieske as an associate in 2017, with his practice focused on insurance defense and personal injury litigation. Prior to joining the firm, Daveed worked in Jonesboro, Georgia for a civil litigation firm focused on automobile negligence and litigation. Daveed received his bachelor’s degree in Psychology from Georgia State University in 2009. He received his Juris Doctor from Syracuse University College of Law in 2014. 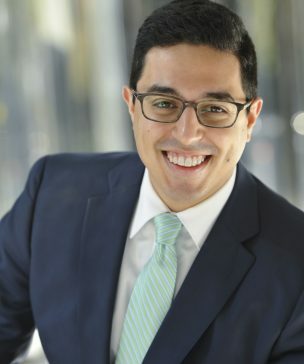 During his third year of law school, Daveed was heavily involved in the Children’s Rights and Family Law Clinic, where he represented clients before the Family Court and gained valuable courtroom and trial experience. Daveed also completed the educational requirements to obtain a certificate in the National Security and Counterterrorism curricular program. Throughout law school, Daveed was also an active member of the Jewish Law Student Association and Alternative Dispute Resolution Society. Daveed is originally from the Northeast, but has been a resident of Atlanta since 2001 and is an avid fan of the Atlanta Falcons. While away from the office, Daveed enjoys spending time with his wife, working out, and enjoying events around the City of Atlanta.